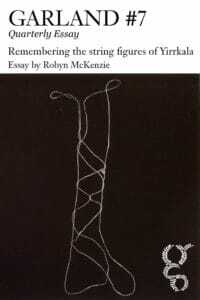 I was looking through the Pacific section in Parson’s Bookshop near the art gallery in Auckland when I came across a group of small thinnish volumes all with similar titles: String Figures of the Tuamotos, Tikopia String Figures, String Figures from Pukapuka. It was December 1999, and I was visiting Auckland for a conference. All of these books had a similar format. The main body consisted of illustrations of different string figure designs accompanied by the instructions for making them. The brief introductions gave some contextual information on the making of these collections of repertoire, but there was no further analysis or explanation. These were specialist publications, the purpose and significance of which was not clear to me. They were not inviting a general readership. 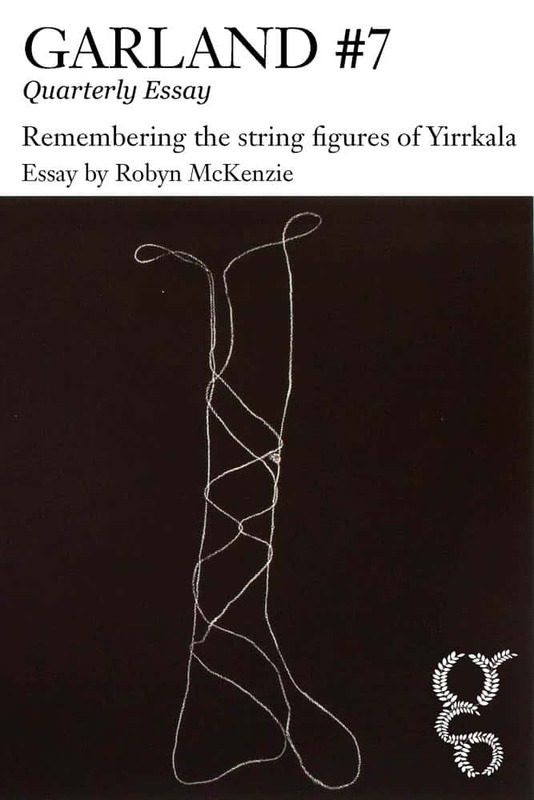 To find out what Robyn McKenzie then discovers about the life of string figures in Yirrkala today, read her quarterly essay, available to the subscribers who make Garland possible.